With the New Year in full swing, we have organizing, planning and prioritizing on the brain. It’s such a good feeling to start getting things in order this month after the hustle and bustle of the holidays has come and gone. 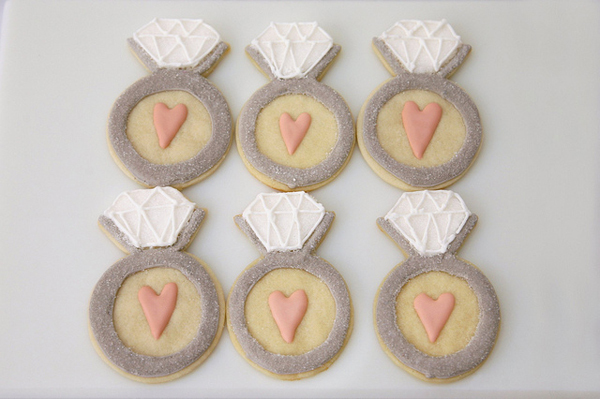 And, if you’re a bride-to-be this year, there sure is a lot of planning to be done in 2015. It goes without saying that one of the most exciting things to look forward to after getting engaged (besides the wedding, of course!) is planning a bachelorette party. After all, who doesn’t love a weekend filled with champagne, besties and those what-stays-in-[insert destination here] memories?! All of us at here Team LC have a few friends who got engaged over the holidays, and we’ve been getting the inside scoop about what goes into planning the events leading up to the big day. 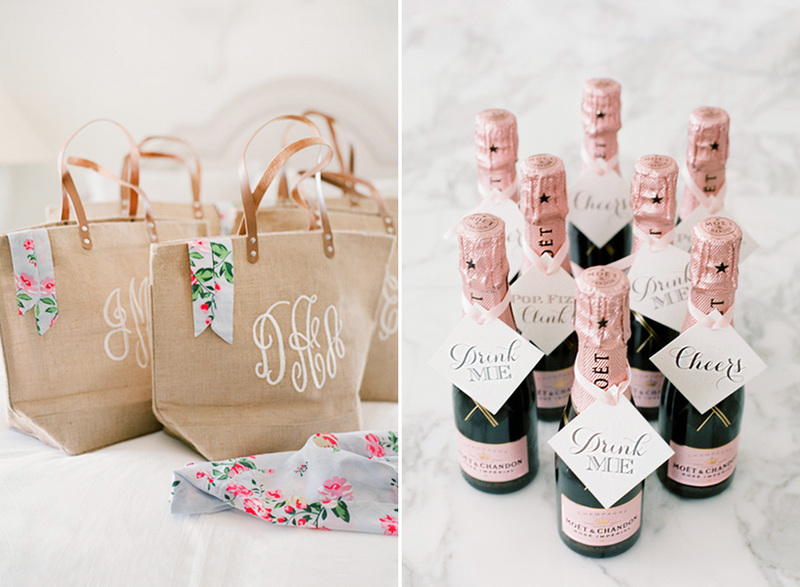 From bridal showers to bachelorette parties, a bride definitely stays busy starting the minute the question is popped. 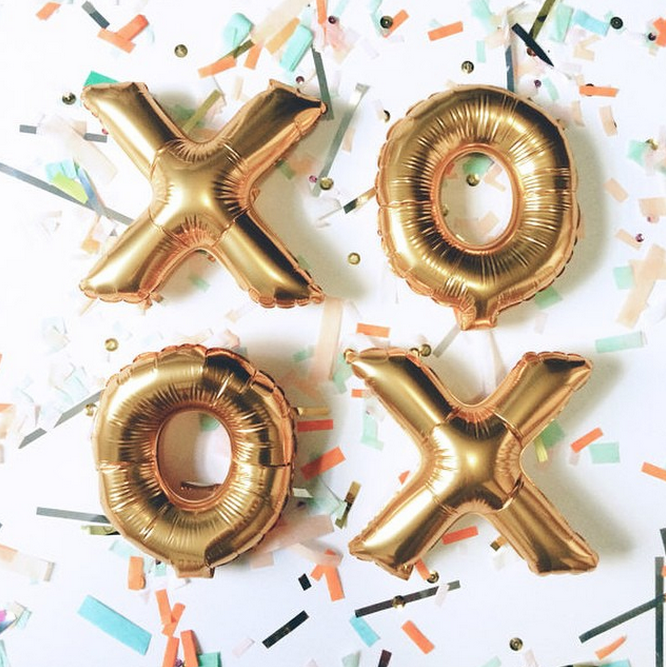 One of our friends told us about this genius new platform for brides called The Bach, an online bachelorette party planning service that lets you choose a city, then all of your bars, restaurants, spas, and activities from a curated list. Once you’ve chosen your destination, you can create an itinerary for your besties, send out invitations, and watch the whole weekend come together seamlessly. 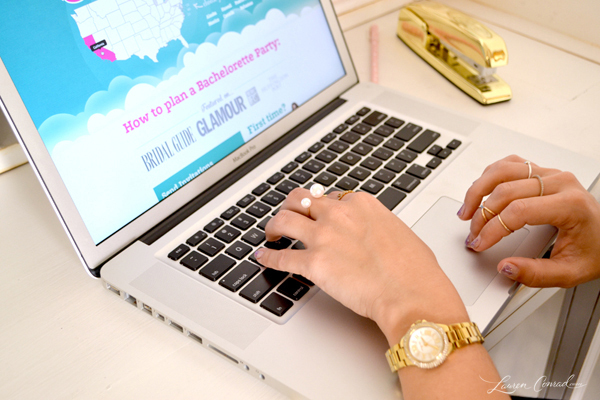 The first step for planning any party, bachelorette or not, is deciding where it should take place. It’s fun to go someplace that has special meaning to you (perhaps a city where you spent your summers growing up). Another fun option is to choose a city you’ve never visited but have always wanted to. Either way, this part is up to you! And your guests will have fun no matter what city you pick. A great way to decide is by writing down a list of cities you’d like to go, then narrowing it down with a pros and cons list until you have your winner. 2. Decide on a Theme. Whether you want it to be a girls’ spa day, a wine tasting weekend, or something a little…wilder…your next step is to decide on the theme of the weekend. With The Bach, you can choose from a list of spas and salons, restaurants, bars and clubs, activities and even organize your transportation. Plan everything with your theme in mind, then choose your venues for each. And you can mix and match ideas too…spa day one day, bars and clubs the next night. Hey, no one said you can’t do it all! Once you’ve dreamed up some ideas for your weekend, it’s time to input them into your itinerary. The Bach allows you to create a detailed schedule by adding activities and venues you’d like to go to during your weekend. Your guests will be receiving this itinerary, so they will appreciate seeing the days, times and locations for each event you have planned for them. Once your plan is set in stone, it’s time to send out those invites! With the Bach, you can simply type in the names and email addresses of everyone on your guest list, then send away. They will receive a detailed schedule for all the days of your bachelorette party and they will be able to RVSP or leave feedback. It’s the easiest way to keep track of who is coming to your special weekend. Once the invitations are sent, you can look forward to planning the little details, like decorations in the hotel rooms, personalized T-shirts or totes for your guests, mini champagne bottles for each girl and more. Once the details are all set in stone…just have a ball! It is your bachelorette party, after all. Make it a weekend you’ll always remember. The Bach condenses party planning into five easy steps that truly make the process effortless. There’s also a Real Bachelorettes section where brides can get inspiration from real brides who have used The Bach to plan their parties. From plates full of cotton candy to sparkly champagne flutes, we had fun getting lost in these brides’ stories. And the inspiration doesn’t stop there… We peeked through the @thebachparty instagram account and found ourselves tagging our bride-to-be friends in the comments. Let’s just say they appreciated the inspiration! 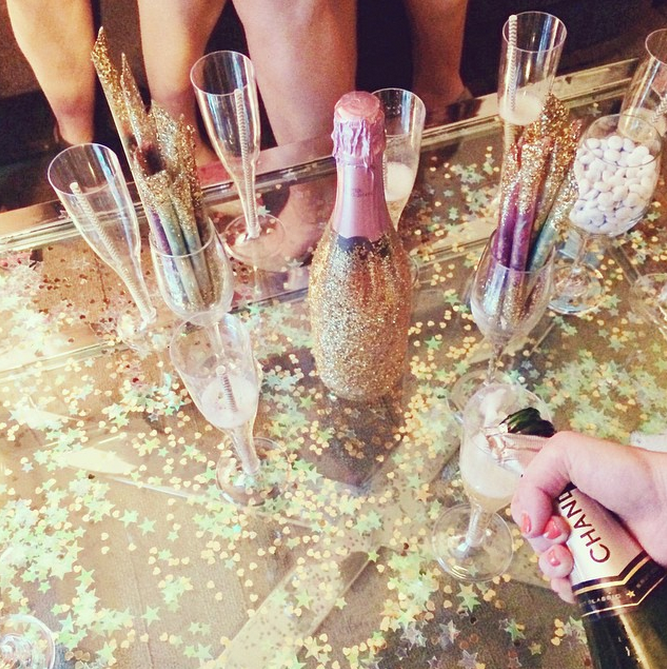 Contest: Win $500 towards your bachelorette party! Update: We have our winner! A big congrats to Jenna, and thank you to everyone who entered! Register. First, click here to go to the contest registration form. Fill out the form. Then, complete the short form in the entry box. Be sure to include your name, email address, birthday, and the contest code: LC+TheBach. Comment. Comment below letting us know why you want to win this contest. Is it for yourself or for a friend? Let us know your story! 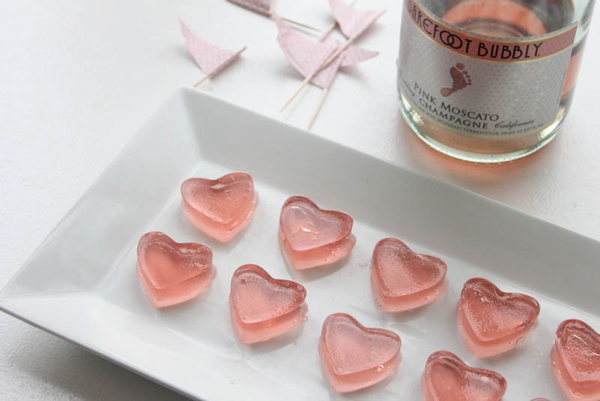 Are you planning or attending any bachelorette parties this year? **Click here to view The Bach & LaurenConrad.com Sweepstakes rules and regulations.